In these days of Google and Wikipedian certainty, it may seem like our world has few mysteries left. We know how henges were built and there aren't many Aztec ruins being discovered in forgotten forests, but today we got word of at least one slightly mysterious find. 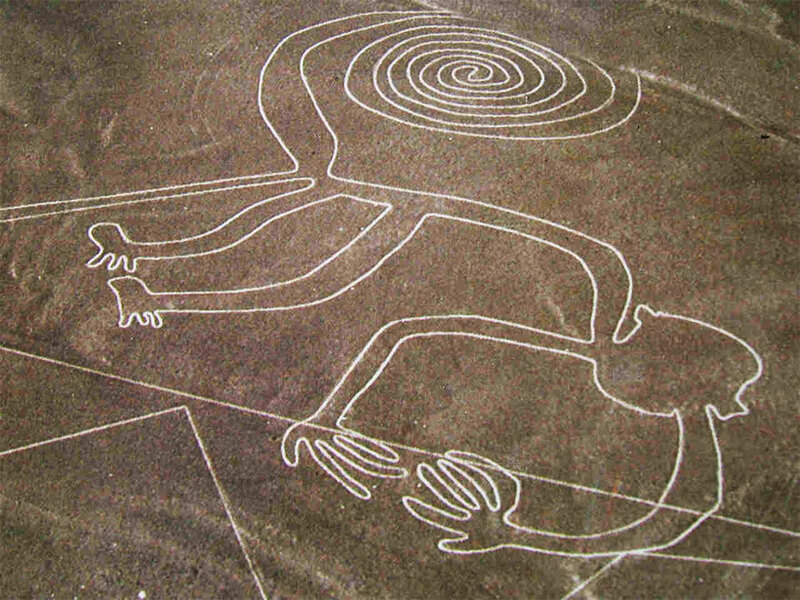 Carved into the hot, calm Nazca desert of Peru are hundreds of enormous, ancient drawings without a clear purpose. Among them is a 300 foot hummingbird. 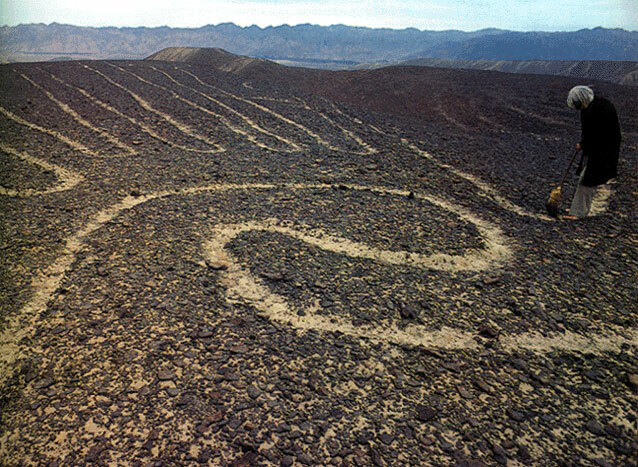 These geoglyphs date from between 500 BCE to 500 CE and have been studied for nearly a century. This week, the world learned that several new forms, never seen before, have been unearthed by a sandstorm. The early Nazca people created these odd single-line drawings by removing the thin layer of dark red pebbles and rock that covers the desert plain, exposing pale contrasting clay underneath. The lime filled clay hardens with a day's cycle through cool mist and hot sun, and the desert site is reliably hot and windless, leaving the drawings baked into the landscape for hundreds of years without disruption. Spiral Jetty? Never heard of herThe drawings' subjects include animals, human figures, plants and geometric shapes. Individual drawings can span over 800 feet, and their region covers ground nearing 200sq miles. They're so big they're best seen from planes, but are visible from the surrounding mountains. According to prevailing theories, the methods used to create the mammoth earthworks were fairly straightforward and wouldn't require a lot of manpower. Wooden stakes found at the site of several drawings have led researchers to suspect simple surveying techniques. 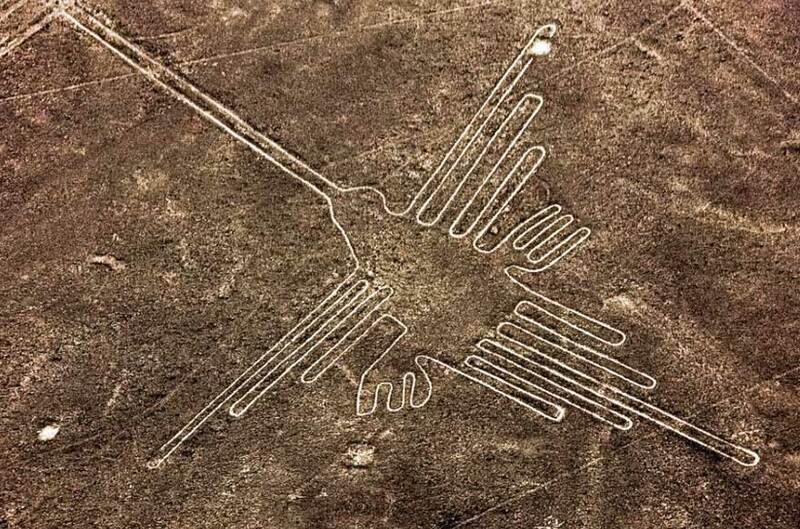 In fact, a researcher at the University of Kentucky managed to recreate examples of the drawings using tools and materials known to be used by the Nazca civilization. What remains without certain conclusion is their purpose. Many scholars believe they had religious significance, created as offerings or tributes to the heavens or the land itself. Others believe the large marks could have recorded information about water sources. Though mathematicians and scholars of archeoastronomy (which is a real career!) haven't been able to nail it down, they may have functioned as astrological calendars for predicting eclipses and important events, or as maps of negative space between constellations. 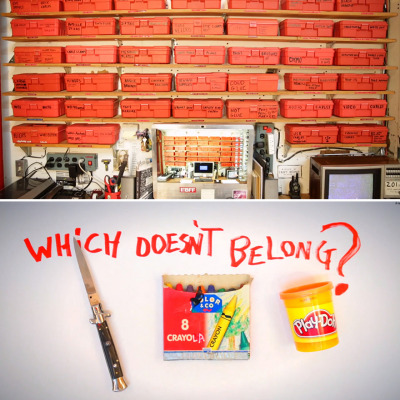 Despite being incredibly well preserved, the data to back up any of these theories is thin. Perhaps because of this, several creative alternate theories exist, including the classic "Aliens did it" champions. My favorite of the less-favored theories contends that, because the drawings mirror patterns used in textiles of the time, the drawings were themselves used as massive looms. That would've been a hell of a rug. The Earthworks were not created by any early human civilizations. They were created by the same advanced civilizations that do crop circles in the past 70 years. They created the Earthworks using orb crafts flying at ground level resurfacing the ground with the imprint of the sphere while flying. I don't think these earthworks worked. 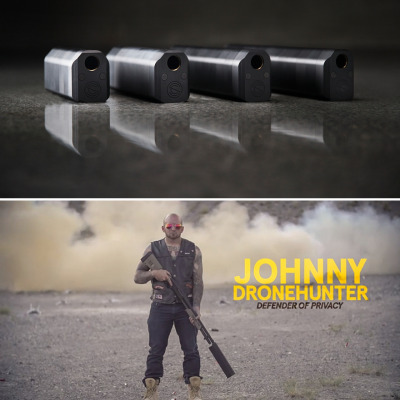 But they're really cool. Did you see the one of the guy that looks suspiciously like an astronaut?